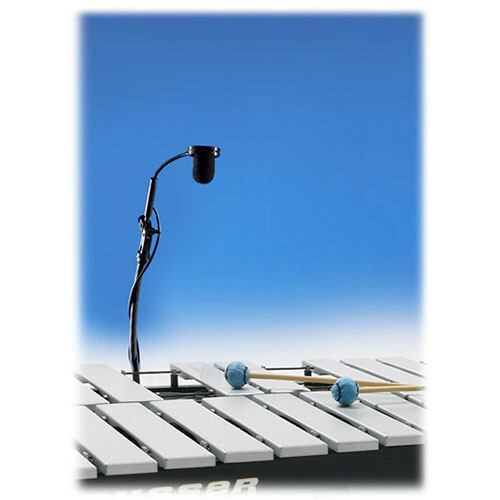 The AMT VP2 Vibraphone & Marimba Microphone System are a pair of microphones that include mounts, in-line preamplifiers, and mounting hardware for vibraphones, marimba and other mallet instruments. The system introduces a unique approach to capturing mallet instruments in recording and sound reinforcement applications alike. A flexible clamp and gooseneck mounting system enables easy setup and microphone placement, and the in-line preamplifiers feature an XLR output, as well as 0 and -10dB pad switch. Box Dimensions (LxWxH) 18.0 x 14.0 x 4.0"